I’ve recently been looking into the ethics of vegetarianism, partly because I’m not one myself and I’m interesting in questioning my position, and partly because it is an interesting philosophical issue in its own right. Earlier this summer I looked at Jeff McMahan’s critique of benign carnivorism. Since that piece was critical of the view I myself hold, I thought it might be worthwhile balancing things out by looking at an opposing view. That’s why Donald Bruckner’s article “Strict Vegetarianism is Immoral” caught my eye. The title and the opening paragraph suggested that it might offer a robust defence of meat-eating. Admittedly, that was what I gleaned at a first glance. After reading the full thing, I realised I was wrong. The paper doesn’t offer a counterpoint to McMahan’s argument. In fact, it may actually complement and support it. This made the experience slightly disappointing from my perspective, but my disappointment shouldn’t be taken to impugn Bruckner’s piece. It needs to be judged on its own merits, and it does present an interesting argument. I want to go through that argument over the next two posts. In brief outline, Bruckner claims that the typical vegetarian arguments against factory farming do not support a strict vegetarian position (where that means eating vegetables to the permanent exclusion of meat, and probably fish — terminology is a bit tricky here). In fact, properly understood, those arguments imply an obligation to eat at least some kinds of meat. Bruckner defends this view by outlining what he takes to be the two most popular arguments against factory farming — the factory harm argument and the environmental harm argument — and pointing out a gap between their conclusions and the strict vegetarian thesis. This means his analysis divides neatly into two halves. This is fortuitous since it means I can divide up my discussion over two posts. I start today by looking at the factory harm argument. (1) Factory farming causes extensive harm to animals (“extensive” in both scope and severity: lots of animals are harmed and they are harmed in severe ways). (2) The harm in question is unnecessary (in the sense that humans do not need the protein/food resources provided by the animals who are harmed). (3) Therefore, factory farming causes extensive and unnecessary harm to animals. (4) It is wrong to knowingly cause, or support practices that cause, extensive and unnecessary harm to animals. (5) Purchasing and consuming factory-farmed meat supports a practice that causes extensive and unnecessary harm to animals. (6) Therefore, it is wrong to purchase and consume factory-farmed meat. Now, as it happens, Bruckner doesn’t dispute any of the premises of this argument. Still, it is worth briefly going through them, if only for those who are unfamiliar with the debate. Premise (1) can be supported by simple arguments about animals’ capacity to suffer and by examples of practices that cause them to suffer. Bruckner gives a couple: cutting off the beaks of young hens; raising them in conditions where ammonia levels are so high that they suffer from chronic respiratory illnesses; castrating pigs and cattle without anaesthetic; and keeping pregnant pigs in crates so small they can barely move. Maybe people would dispute some of these — I’m not sure — but let’s assume there are enough similar practices taking place to justify premise (1). What about premise (2)? This would seem to be true from observation and scientific study: there are plenty of perfectly healthy vegetarians and vegans out there, and no evidence suggests that a healthy vegetarian life is impossible. There may be some individuals who, thanks to food allergies or other restrictions, find it impossible to live without meat, but they would seem to be relatively few in number. Furthermore, their existence would not threat the general claim that factory farming is unnecessary. The first conclusion (3) then follows as a matter of course. This brings us to premise (4). It doesn’t seem necessary to dwell on this since it is a basic principle of morality, and it doesn’t really matter which conception of harm you have in mind, or whether you are a consequentialist or deontologist. All these positions would all support something like this principle. That leaves us with premise (5), which is probably the most contentious one. Some people would be inclined to argue that an individual’s decision to purchase and consume meat will have a negligible impact on the general practice of factory farming. This might suggest that the individual decision neither causes nor supports the practice of factory farming. This is something that has been discussed in the literature, and there are various responses to it. Nevertheless, we will set them aside, since that is what Bruckner does, and assume it to be true. (7) The only, non-harmful, alternative to eating factory-farmed meat is strict vegetarianism. But any such premise would be false. There are in fact alternatives to eating factory-farmed meat. Three such alternatives are mentioned in Bruckner’s article: (i) eating humanely-reared animals; (ii) hunting, killing and eating wild animals; and (iii) eating roadkill animals (i.e. animals accidentally killed in vehicular collisions). 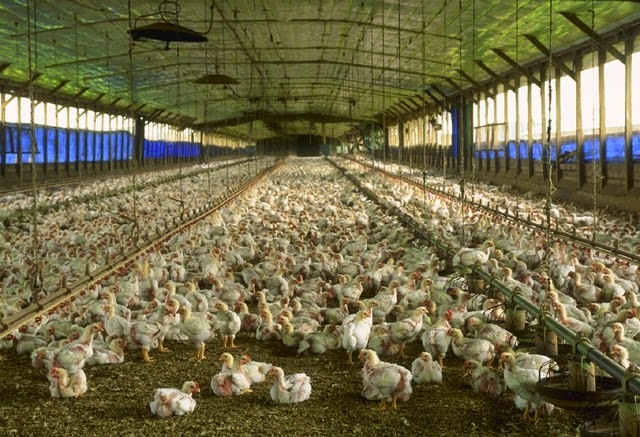 Bruckner has another article dealing with (i) and (ii), and he acknowledges that both could involve some harm and wrongdoing to animals, even if it is not on the same scale the harm and wrongdoing involved in factory farming. For this reason, he focuses his argument on the third option. He starts by clarifying and adumbrating some facts about roadkill. I found this part of the paper pretty interesting because I was unaware of the statistics on roadkill. For starters, he is not talking about eating squirrels or foxes or other small animals that might be killed in accidental vehicular collisions. He is talking about eating freshly-killed, large animals like deer, elk and moose. He notes that there are over one million insurance claims based on collisions with such animals each year in the US, and many more such collisions go unreported (anything from 50% to 600% more, according to some estimates). Consequently, he conservatively puts the figure at about 2.1 million roadkill deaths per year. Now, assuming all such deaths are deer (the smallest of the three) he reckons this would yield about 41.3 million pounds of meat per year. This would be equivalent to the meat currently-consumed by about 300,000 American meat-eaters. That might not seem like a lot, but it is not negligible and, in any event, Bruckner isn’t arguing for continuing current meat-eating practices. He is just arguing that some meat-eating is acceptable. As I say, I find these statistics interesting, but I would like to raise two sceptical notes. First, it isn’t clear to me that the figure for insurance claims is based on actual animals deaths, or just damage from collisions. Bruckner doesn’t say enough about it in the piece. Second, it isn’t clear to me that all these deaths are strictly accidental. That might seem like a reasonable assumption — who would want to collide with such an animal? — but we may need to be cautious here. I’ll return to this point in part two. Anyway, moving on. Bruckner thinks it is pretty obvious that eating such roadkill (in addition to vegetables, of course) provides an alternative to strict vegetarianism. But this isn’t a big deal since most vegetarian philosophers accept the permissibility of eating roadkill (Singer certainly does, and Bruckner cites others who do as well). What is less obvious is whether we have an obligation to do so. This is what Bruckner wishes to argue. At this point, he appeals to an argument originally made by Steven Davis in 2003. Davis believed that vegetarians were too readily assuming that strict vegetarianism was the least harmful option to animals. In doing so, they ignored the number of animal lives lost in vegetable farming. Thus, in cultivating land, planting and fertilising seeds, and harvesting crops, it is acknowledge that animals are routinely killed (e.g. field mice, rabbits, amphibians, ground-nesting birds etc.). Davis argued that more harm would be done by this than by raising herbivores on pasture, and so strict vegetarianism wasn’t necessarily the preferred option. Davis’s argument for this was highly contentious, based on disputable evidence and estimates. But his particular argument is not what interests Bruckner. It is the general style of the argument that is interesting. It suggests that if there is some practice which is less harmful than strict vegetarianism , we should prefer that. In fact, because we are obligated to avoid unnecessary harm to animals, we should definitely do that. Bruckner thinks this is true of eating roadkill. The harm done by this practice is less than the harm that would be done by getting the same amount of additional nutrition from vegetable farming. (8) We are obligated to avoid anything that causes, or supports the cause of, unnecessary harm to animals (this is simply a modification of premise (4) from the factory harm argument). (9) Strict vegetarianism would cause harm to animals (through land cultivation practices). (10) At least some of this harm is unnecessary: we could get some of that nutrition from roadkill. (11) Therefore, we are obligated to eat roadkill (and not to endorse strict vegetarianism). I say he endorses “something like” that argument because at no point in the article does he actually set out a formal argument for his position. Still, I think this captures the basic elements of it. His point is that if we endorse the premises of the factory harm argument — in particular the central moral premise of that argument, premise (4) — we are obligated to eat at least some meat. This is certainly an interesting claim. I’ll be covering the main objections to it in part two (after outlining the environmental harm argument). But there is one objection I thought might be worth flagging here. It’s a pretty obvious one. In making this argument, Bruckner may be presuming an overly narrow conception of strict vegetarianism. He seems to suppose (in premise (9)) that the only way for a strict vegetarian to get enough vegetables to live is through farming practices that will be harmful to animals. But maybe this isn’t the case? Maybe there are less harmful farming practices? Or maybe they could be foragers or somesuch? I suspect Bruckner would respond by saying that either (a) those practices wouldn’t supply enough nutrition or (b) it still wouldn’t defeat his point about eating roadkill. For if there are all these animals being killed accidentally, and if they could provide us with perfectly good nutrition, it would still seem pretty silly to waste them. This becomes more persuasive when we consider the environmental damage argument, which is exactly what we’ll do in part two.